How do you choose the right HVAC system for your home? When you buy a new HVAC system for your home, it is essential to select the system properly. Rowell’s Services comfort advisors are experts at choosing the ideal system for your home. Every home is different. Selecting the ideal HVAC system for your home is determined by many factors, not just the size of your home as many customers believe. Rowell’s employs experienced, expertly trained comfort advisors that will do a thorough evaluation of your home before recommending the perfect system for your specific needs. We have HVAC systems to fit every budget and every home. Installing the wrong system will cause your home to be uncomfortable as well as leave you with high monthly utility bills. Don’t risk it – let the experts at Rowell’s Services take care of you. When properly maintained, home air conditioning systems can last for several years, and repairs are often sufficient for extending the lifespan even more. Unfortunately, nothing is made to last forever, and air conditioner replacement is an unavoidable reality. If your air conditioner is no longer functioning as it should, the professionals at Rowell’s Services will help you determine whether air conditioner repair or replacement is your best course of action. While many problems can be repaired at a fraction of the cost of replacing the entire system, sometimes air conditioner replacement is the better option. This is especially true when dealing with old systems that require extensive repairs. In any case, our experts will help you make an informed decision so you can rest assured knowing that you are spending your money wisely. 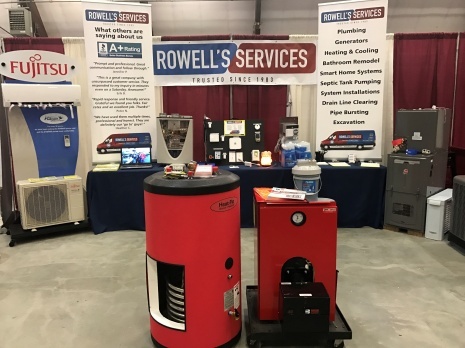 At Rowell’s Services, our highly-skilled service experts provide fast air conditioner replacement for customers in New Hampshire. 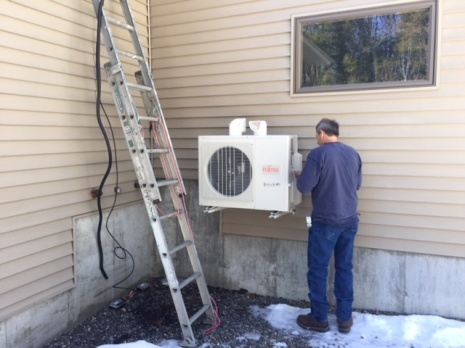 We know how uncomfortable it can be to deal with the New Hampshire heat when you’re stuck without functional air conditioning in the middle of the summer, and we will work to get your new system installed as quickly as possible. We well and install top-quality air conditioners from only the best brands in the cooling industry, and we have options that are suitable for any home. Not sure what you need? No need to worry. We will help you choose the air conditioner that best suits both your budget and your home. When you need air conditioner replacement in New Hampshire, don’t hesitate; call Rowell’s Services at (603) 934-4145 for fast, affordable service.